I Prefer Pi, the 160th retired racehorse to enter the Placement Program, resting at layup facility Keen Ranch. Having transitioned more than 160 Thoroughbreds from the track into second careers as equestrian mounts or a quiet pasture life, the Placement Program has become a very viable retirement method in the Golden State. Since launching in 2013, CARMA has increased the number of horses entering the program by 110 percent. The idea for the program came when the organization felt it could do more to assist California owners and trainers with the transition of newly retired racehorses into the next phrase of their lives. With its office located at Santa Anita Park, CARMA is a tangible resource and a constant presence at one of the most recognized Thoroughbred race tracks in the country. Admitting a retiring racehorse to the Placement Program is a relatively simple process. It begins by calling Project Manager Natalie Rietkerk who then delivers a questionnaire form to the connections to gather as much information on the horse as possible. The document requires detailed information on the horse, including pertinent health records, a racing history and a temperament description. Once completed, the owner makes a $500 donation to CARMA to help cover transportation costs, which is arranged by CARMA, and the remainder to goes towards the first month of care at an affiliate facility. Before the horse is picked up from the racetrack, the owner or authorized agent must transfer temporary custody to CARMA. 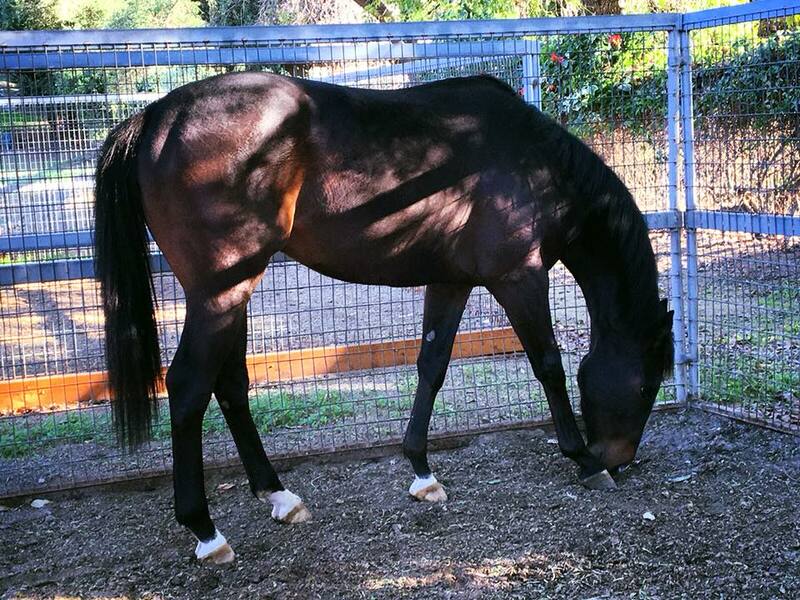 CARMA works closely with several layup facilities across the state who specialize in handling recently retired race horses, including: Mojave Run, Pasadena Polo Club, Keen Ranch, Equine Body Works, Perham Ranch and Pegasus Ranch. Once the horses have completed the recommended rehabilitation time provided by a veterinarian, written reports on the animal’s temperament and suitably are sent to CARMA’s 23 Aftercare Partners who then help find the horse a new home as an equestrian mount or companion. The Placement Program is funded by the generosity of the Stronach Group’s Aftercare Program which matches dollar-for-dollar the one third of one percent contributions made by California racing owners thorough voluntary purse deductions. For additional information on CARMA’s Placement Program, visit https://www.carma4horses.org/carma-placement-program or call (626) 574-6654. CARMA (California Retirement Management Account) is a charitable 501 (c)(3) organization formed to assist Thoroughbred rehabilitation and retirement organizations that facilitate the care and retraining of horses who raced in California and whose racing careers have ended. CARMA ensures the racehorses have retirement options by managing and disbursing funds to qualified retirement facilities caring for such horses.